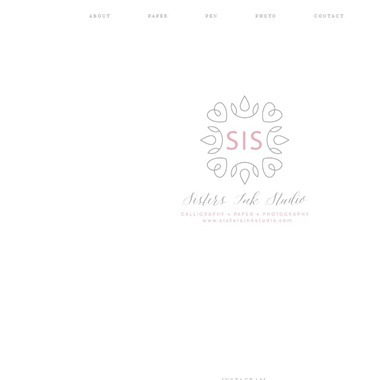 Select photos you like; we'll recommend wedding stationery services in Dallas Try now! 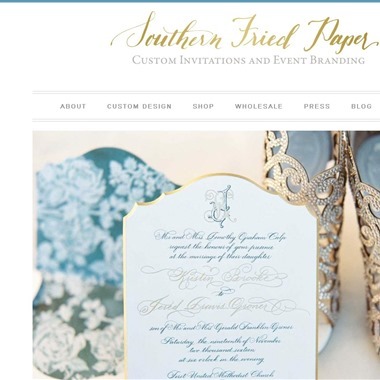 Southern Fried Paper is a full-service custom invitation and event branding studio specializing in innovative designs for weddings, parties and corporate events. Led by Founder and Creative Director Chelsea Carpenter, our talented designers will create one-of-a-kind designs that will delight and surprise guests. We look forward to working with you to create an invitation that will impress even the most distinguished guests. 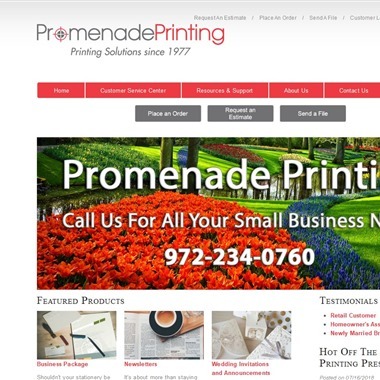 We print the old fashioned way, on old vintage presses for engraving, letterpress, and foil stamping. We love what we do and we are excited to share this timeless craft with you for your event! The level of design, quality of materials and proprietary printing techniques set Bell’Invito apart in the world of fine paper goods. 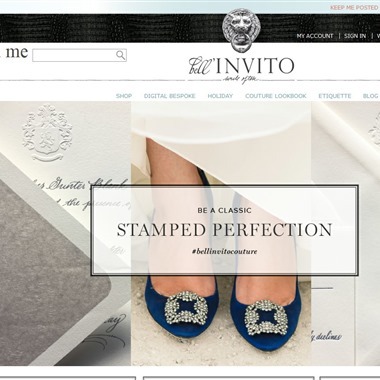 Heather and the Bell’Invito team are committed to superior client service and an unpretentious approach to sharing knowledge, the joy of social entertaining and an appreciation for quality and timeless correspondence. 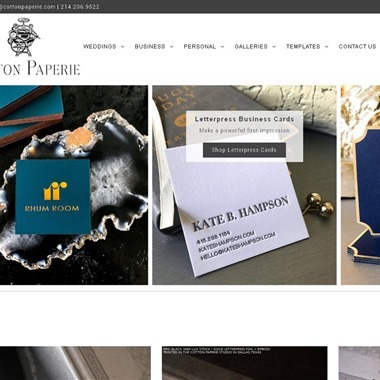 We specialize in paper goods and creating custom designs that vary from sophisticated and elegant to modern and vibrant. Because we believe that how you say something is just as important as what you say, we make sure the finished product reflects YOU and the message you want to send. 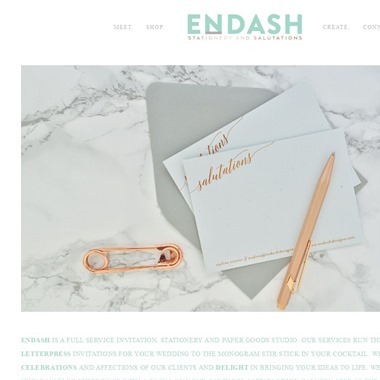 Endash is a full service invitations, stationary and paper goods studio. Our services run the gamut from custom, letterpress invitations for your wedding to the monogram stir stick in your cocktail. 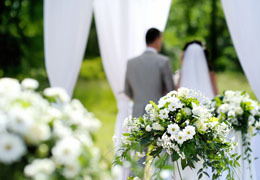 We find joy in the celebrations and affections of our clients and delight in bringing your ideas to life. 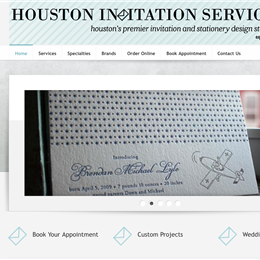 "Isabella Invitations Houston, Texas is one of Houston's premier custom invitations design studios. 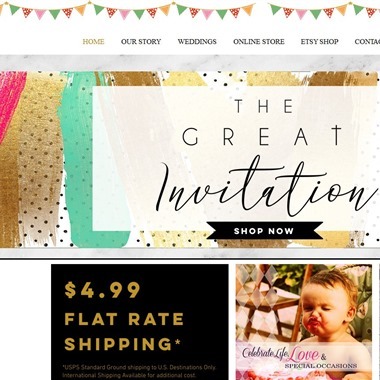 We specialize in luxurious and unique custom wedding invitations and stationery for your special occasion." 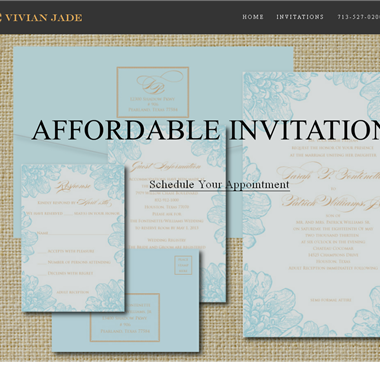 "Find Houston's best invitations and wedding invitations at Vivian Jade. 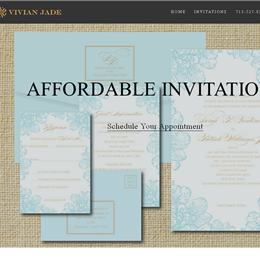 Vivian Jade offers unforgettable custom invitation designs completely personalized to suit your wedding style and wedding theme. 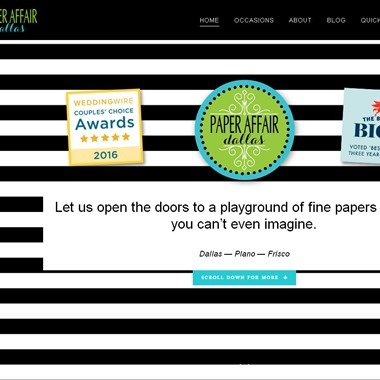 Visit our Houston showroom to view the complete selection of wedding invitations."